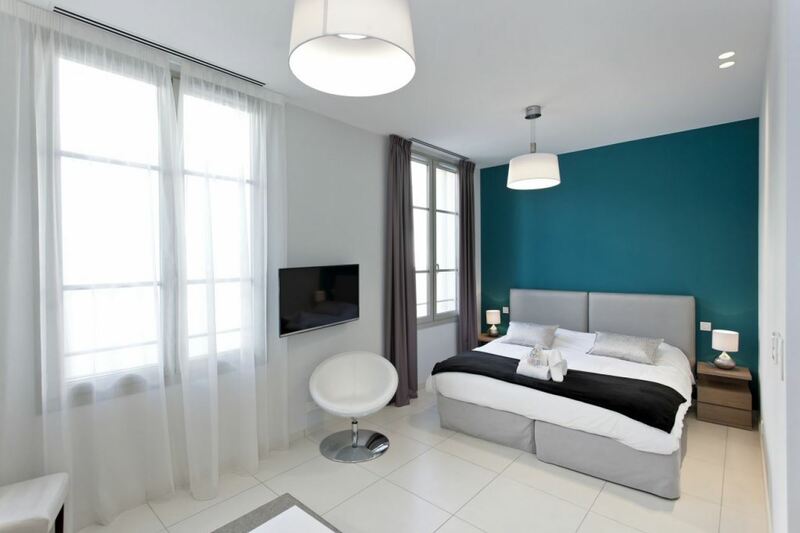 The exceptional and fully renovated ‘Hotel Particulier’ is situated on 3 levels in the centre of Cannes, making it the perfect base for Cannes Congress season. 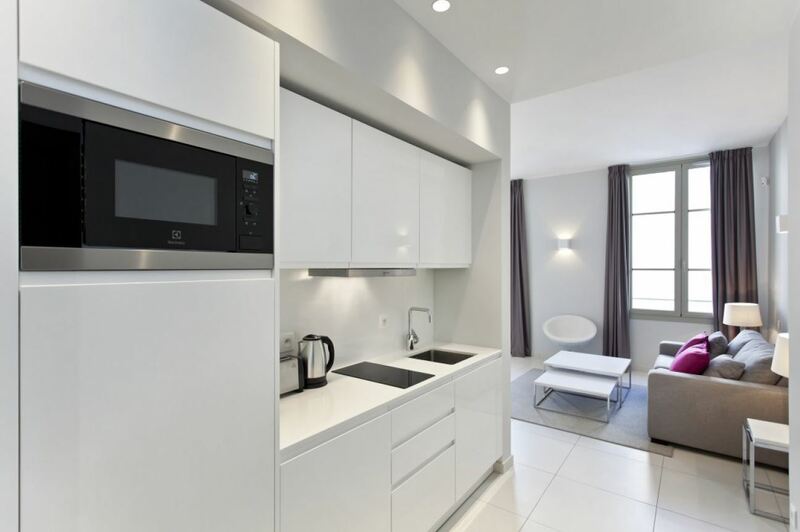 The property is decorated and furnished to an exceptionally high standard with modern features and finishes. Guests enter the property into a spacious entrance with access to the next floor by lift or by the staircase. The 1st floor of the building is where 4 individual apartments are located. 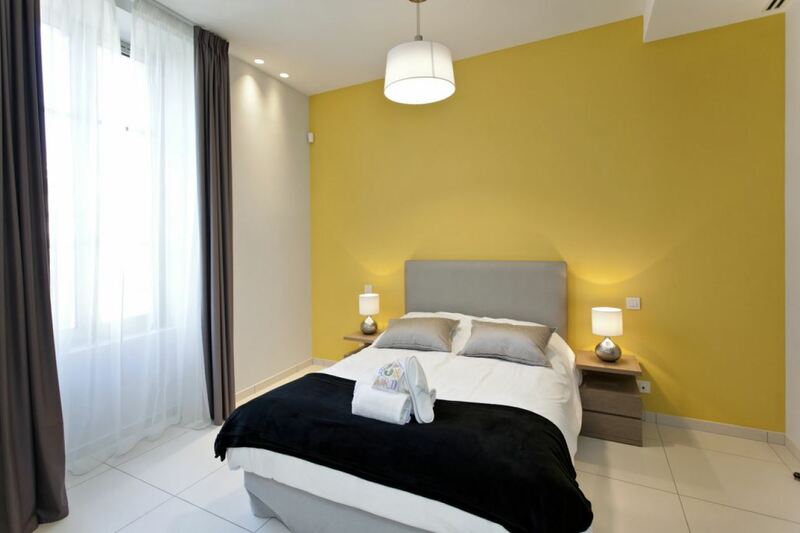 Each apartment is designed and decorated to an immaculate quality with style and comfort in mind. Each bedroom has a flat screen television. 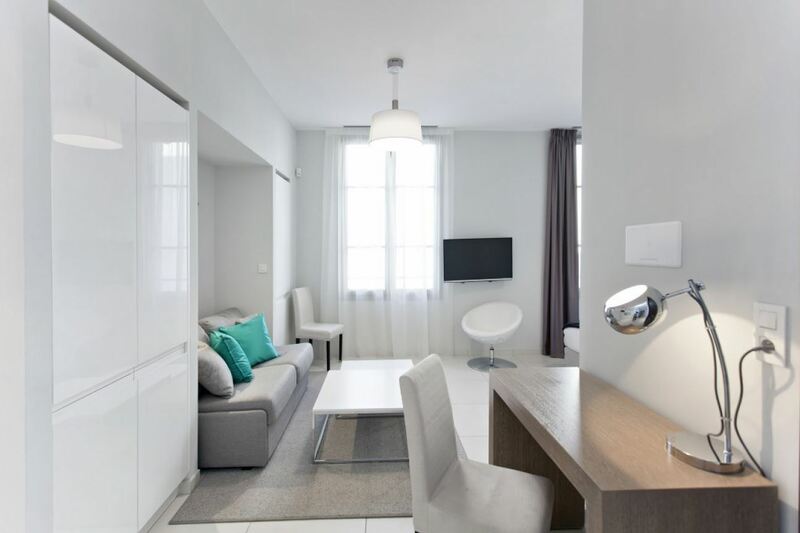 Apartment #1 – Studio with lounge area, sofa bed, bar table, kitchenette and x2 single beds with an en-suite shower room. Apartment #2 – Studio with lounge area, sofa bed, bar table, kitchenette and x2 single beds and a shower room. Apartment #3 – Living room, sofa bed, bar table, kitchenette. Twin bedroom with x2 single beds and an en-suite bathroom with a shower. Apartment #4 – Living room, sofa bed, kitchen and bar table. Twin bedroom with x2 single beds and a bathroom with a shower. The 2nd floor of the building is dedicated to a 3-bedroom duplex apartment. The double reception room of the main apartment is bright with an open plan design to fully incorporate the generous space. 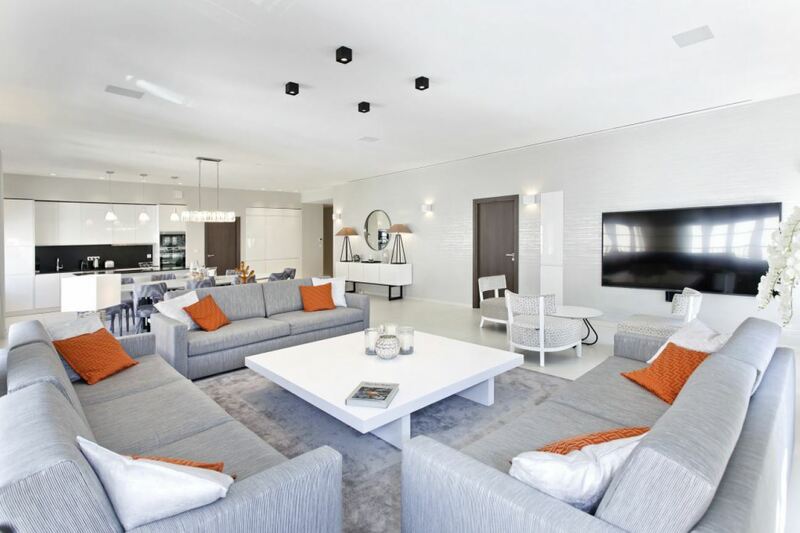 Sumptuous sofas, a round dining table and a modern fully equipped kitchen make up the living areas and provide a high level of comfort and sophisticated style. 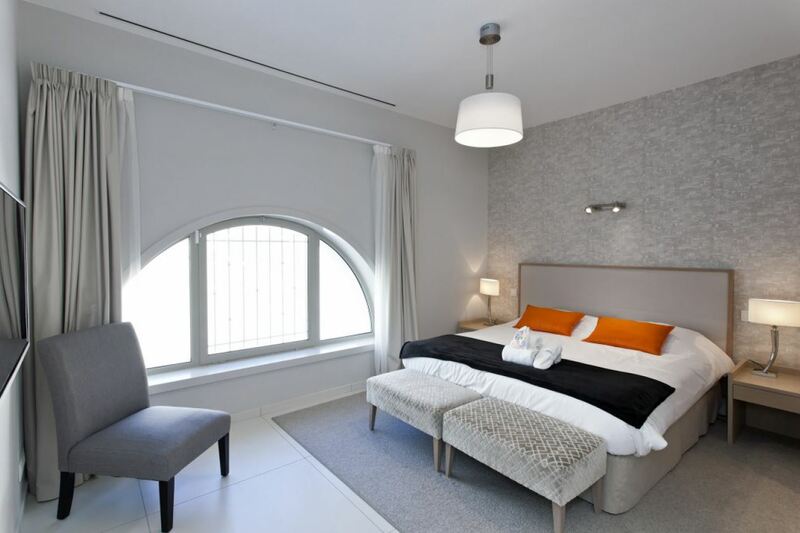 There are 3 beautifully designed bedrooms, each with an en-suite bathroom to accompany them. The master bedroom has a double bed with the other 2 bedrooms having two single beds. The ‘rooftop’ floor is where guests will find a fantastic covered terrace with an electric glass pergola. There is an extensive space for events or parties and the option for the electric sunroof. 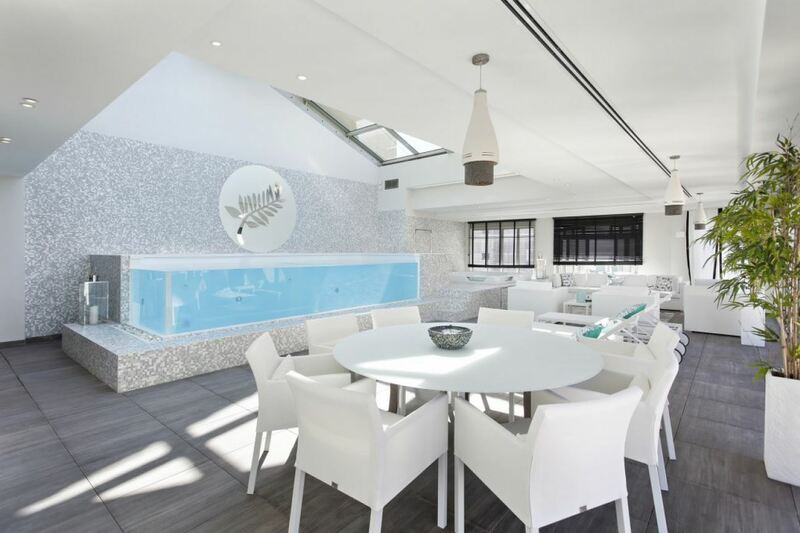 Guests can use the heated indoor swimming pool, Jacuzzi and the contemporary style summer kitchen.